As Israeli diplomats broaden their strike for a salary hike, several visits of foreign leaders to the country may be cancelled. The Foreign Ministry spokesman has said they demand that their salaries be equal to the salaries of officials at the Defense and Intelligence Ministries. The strike has been going on for a year, but intensified three weeks ago following the refusal of the Finance Ministry to hold talks with the strikers. Officials in Israel are refusing to make preparations for visits of foreign representatives to the country. According to Interfax, the only exception is made for contacts within the Foreign Ministry. As a result, visits by German Chancellor Angela Merkel and the premiers of Slovenia and Croatia, scheduled for January, are at risk of being postponed for an indefinite period. Earlier President Dmitry Medvedev canceled his visit to Israel scheduled for January 17th, due to the strike of Israeli diplomats. 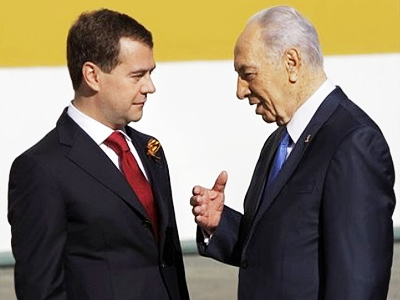 According to the Kremlin press service, Israeli President Shimon Peres talked over the phone with the Russian leader and apologized for the failure to prepare his visit. He also expressed regret over the postponement of the Russian-Israeli summit. The two sides agreed to discuss the issues they were expected to talk during Medvedev’s visit to Israel at the Davos summit at the end of January. Israeli diplomats abroad have been instructed not to process visa applications and cut all contacts with foreign ministries, prime minister's offices and president's offices of their host countries. Israeli diplomats have also declined to represent their country at foreign fairs and assist any trade and commercial relations. 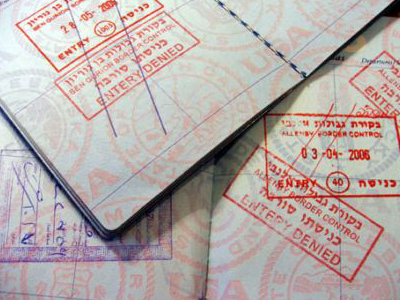 The situation will not affect Russian nationals willing to travel to Israel, as the visa regime was cancelled between the two countries in 2008.